One of the biggest draws of travel is sampling new food, whether it’s finding a beach shack on California’s Central Coast that grills up the best fish tacos, or that street cart in Vietnam selling the tastiest bowl of pho. 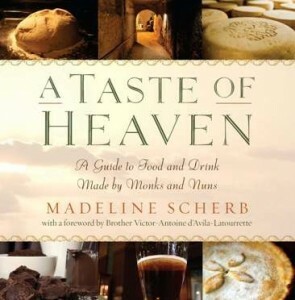 We never thought monasteries could be a foodie haven until flipping through A Taste of Heaven: A Guide to Food and Drink Made by Monks and Nuns by Madeline Scherb, which hits shelves today. You’ll find cool facts, like how monasteries in the Middle Ages each had a little clos (enclosed vineyard) where the monks made wine for Mass and sold the extra to guests (as they still do today). 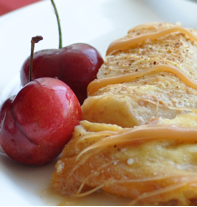 You can even try making dishes yourself by following the recipes, such as for Brother Victor’s Pear Clafoutis, pictured. If you’re looking for the perfect ingredient, such as Trappist cheese, turn to the shopping guide. But if you’d rather taste the authentic dishes made by the monks and nuns themselves, find out how to get there with the book’s suggested itineraries. Next on my travel wish list? The Genesee Abbey in Upstate New York to taste the Monks’ Choice Sampler of breads, which offers seven wholesome flavors whose recipes the monks have spent decades perfecting. Nice blog Such a nice blog. it is very nice.I think your so much effort good.I think you must visit so Goa beaches thank you so much. Goa thank you so much. Great post! Just wanted to throw it out there for anyone looking to travel to the Galapagos Islands that I have found Galapagos Inc by Wildlife Vacations (www.galapagos-inc.com) to be a very helpful source for booking travel to the region.